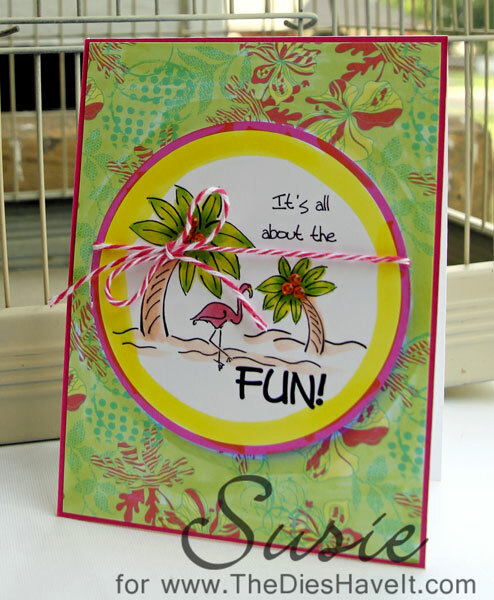 Created 4 Creativity : It's All About the Fun! 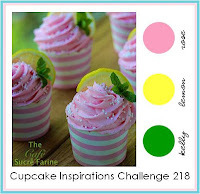 It's time for this week's Cupcake Inspirations Challenge and today we are celebrating with some color inspiration! This week we are sponsored by DRS Designs. Be sure to check out her store. Her wood mounted stamps are really great. I think you will like her selection too! I used some digital paper for my background and colored in my image with Copic markers. Both the image and the sentiment are from DRS Designs. Add your project based on our inspiration photo featuring these sweet summer cupcakes. Susie, this is beautiful. Love the papers and design.